For Christopher Arendt, “needs” are a bit simpler. 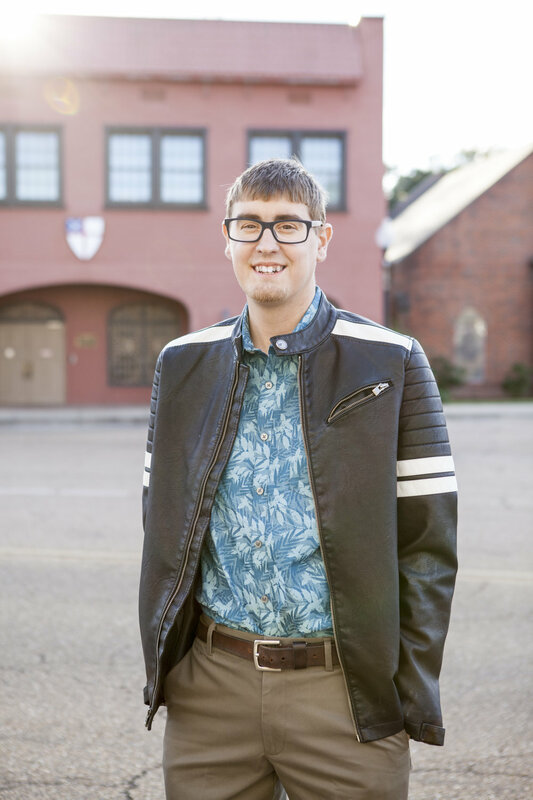 At age 25, unable to breathe, he needed new lungs. Desperate, in December of 2017, Chris and his wife, Kimberly, packed up their home in New Boston to move in with Chris’ mother in North Carolina. Because of his preexisting condition, he was eligible to be added to her insurance plan as long as he lived under her roof. In January of 2018, pre-transplant testing began. On February 4, Chris’ 26th birthday, he underwent intestinal surgery for Distal Intestinal Obstruction Syndrome, a common CF morbidity. A month later, he received a feeding tube; he weighed only 109 pounds (“I looked like an umbrella,” he laughed) and needed to gain at least 20 pounds in order to be put on the lung transplant list. On July 12, 2018, he was listed. While it used to be that organs were distributed on a first-come, first-serve basis, the United States now uses a lung allocation score (LAS) to determine recipient priority. The scoring system, which takes into account various measures of the recipient’s health, is supposed to predict the probability of a patient’s survival during the wait time, as well as the projected lifespan post-transplant. The scale is from zero (poor) to 100 (good). Chris’ score was 42. Less than a week later, at 11:30 p.m. on July 16, they received the call: Chris needed to be at the Duke University Hospital by midnight to begin the transplant process. They sped the 44 miles to the hospital. Twelve hours later, he awoke. His original lungs were gone. In their place lived the ultimate regift: a set of lungs which were now keeping alive their second host human. His recovery was remarkable. 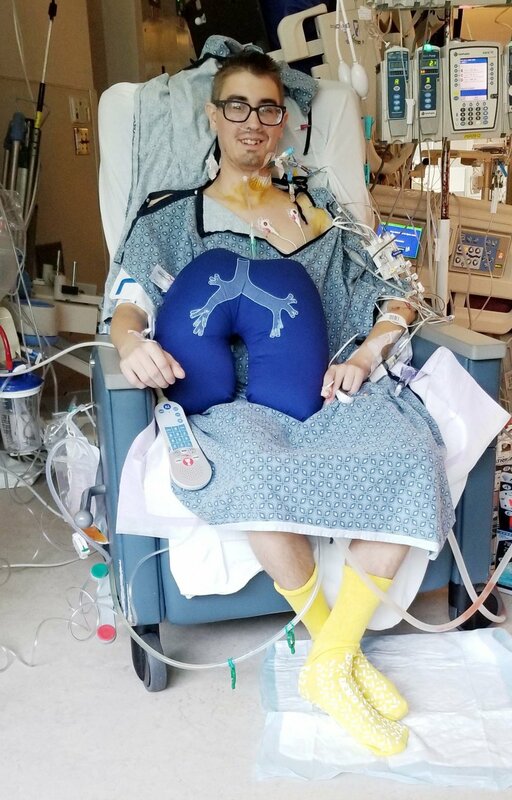 Upon walking a mile’s worth of laps around the ICU immediately post- surgery, “everyone was calling me Superman,” Chris laughed. By the fifth day post-op, he was walking over five miles at a time. Chris was discharged on Day 15 and started physical therapy immediately. Eighteen days later, he was released from PT. But it hasn’t all been smooth-sailing from there. Cystic fibrosis has no cure—not even new lungs. 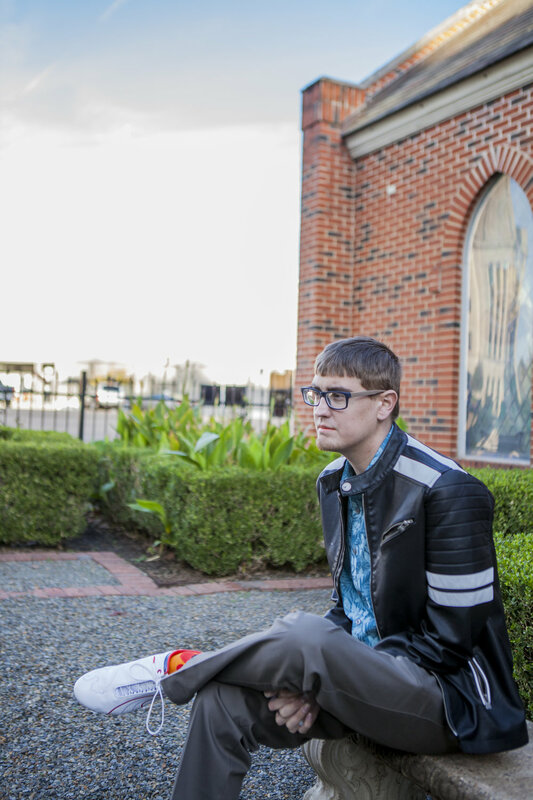 In October, his first day back in Texarkana, he collapsed and experienced delusions, and was immediately airlifted back to Duke. From his CF-related diabetes, his blood sugar had risen to over 1,700. (“Most people go into a coma at about 800,” Chris explained.) He also showed signs of rejection, but a round of intense steroids seem to have taken care of that. He will be tested for rejection again in January. 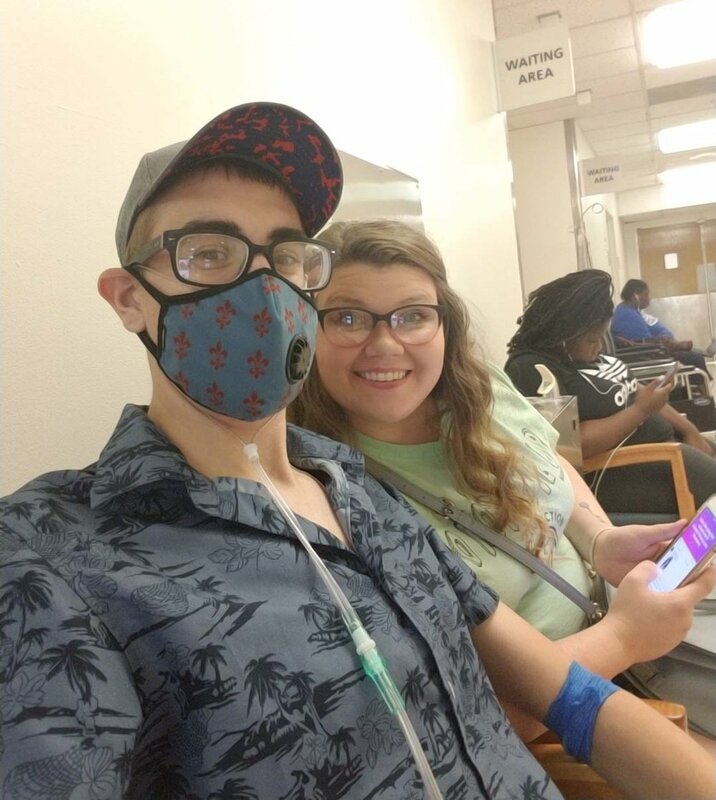 Chris and his wife, kimberly, at duke university hospital waiting to see doctor for part of his evaluation before his transplant. Before long, he will be on the job hunt yet again, though his days working as an auto mechanic are likely over due to the danger the fumes would pose for his “new, polished-up lungs.” He is considering a career in car sales, since he already knows the product, literally inside and out. In the meantime, Chris and Kimberly are thankful for their friends and family who have contributed to his GoFundMe page.